Big Data Hadoop training course in Raleigh lets you master the concepts of the Hadoop framework and prepares you for Cloudera’s CCA175 Big data certification. With our online Hadoop training, you’ll learn how the components of the Hadoop ecosystem, such as Hadoop 2.7, Yarn, MapReduce, HDFS, Pig, Impala, HBase, Flume, Apache Spark, etc. fit in with the Big Data processing lifecycle. Implement real-life projects in banking, telecommunication, social media, insurance, and e-commerce on CloudLab. Who are eligible for taking this Big Data Hadoop Training Course in Raleigh? How will Big Data Training help in scaling up your career in Raleigh? How will i become Certified Hadoop Developer in Raleigh? What are the Benefits of Taking Big Data Hadoop Certification Course in Raleigh? What is the Duration of Simplilearn's Big Data Hadoop Certifications Training Course in Raleigh? How Much does the Course Cost in Raleigh? Simplilearn’s DMCA course is priced at $799 for Online Classroom Flexi-Pass. What are various Big Data Hadoop Roles available in the Raleigh? 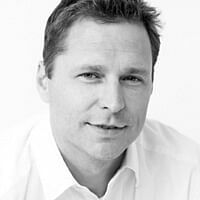 What is the market trend for Hadoop in the Raleigh? What are the top Companies offering big data developer Jobs in Raleigh? Several companies in Raleigh are on the lookout for Big Data professionals. According to Indeed, some of the top companies looking out for big data professionals in Raleigh are Maxpoint, IBM, Redhat, SAS, Cisco, PWC, HP, NTT Data, Lenovo etc. What is the Average Salary for Certified Hadoop Developer in Raleigh? 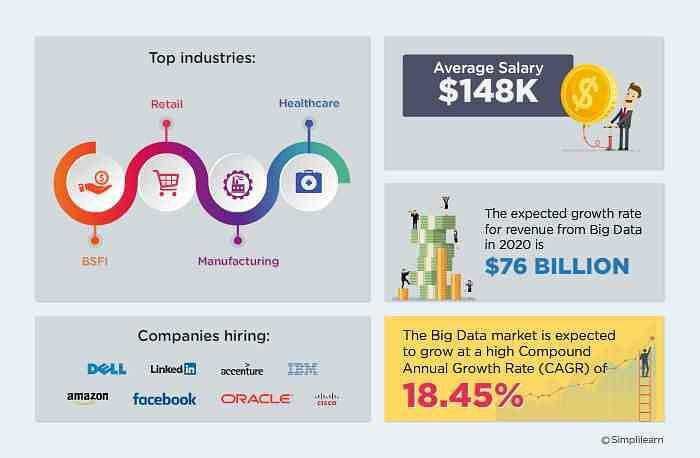 According to ZipRecruiter, entry-level big data professionals in the U.S. can earn $74,000 per year. However, a big data professional with experience can earn up to $124,000 in the Raleigh. However, this salary can go up to $158,000 in North Carolina. What are the System Requirements for attending hadoop certifications training from Raleigh? What are the modes of training offered for this course from Raleigh? 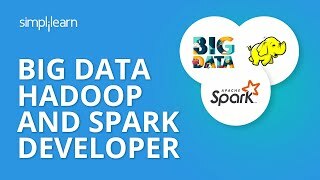 What are the other top Big Data Certification Courses Simplilearn is offering for developers, managers, freshers, of Raleigh?